The College will evaluate the impact of its construction projects; incorporate green building and design methods; and consider the needs of future generations of the college community in campus planning, with the goal of minimizing the environmental footprint of the campus. Arbor Hall was originally constructed in 1964 as an administrative building for a healthcare facility. Illinois Central College acquired the property in the early 2000’s. With the renovation in 2014, Arbor Hall now houses the campus’ student intake services and functions as a front door for the campus. 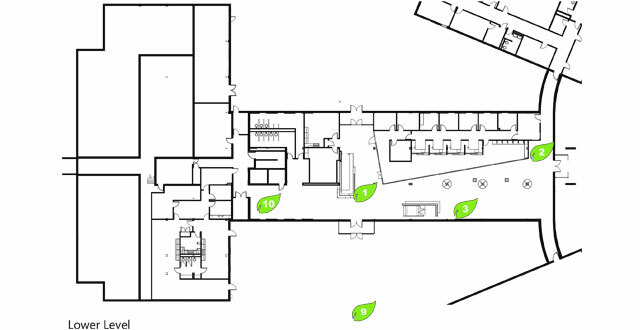 During the construction of Arbor Hall, 90% of all construction debris was diverted from landfills and recycled. In addition, much of the material included in the construction of the build contains recycled content. The lights above you, as well as 70% of ARbor Hall’s total energy consumption, are powered by off-site renewable energy sources such as solar, water, wind, biomass, and geothermal sources. Preferred parking spaces are provided for fuel-efficient and low-emitting vehicles. Using alternative methods of transportation helps reduce carbon dioxide emissions. 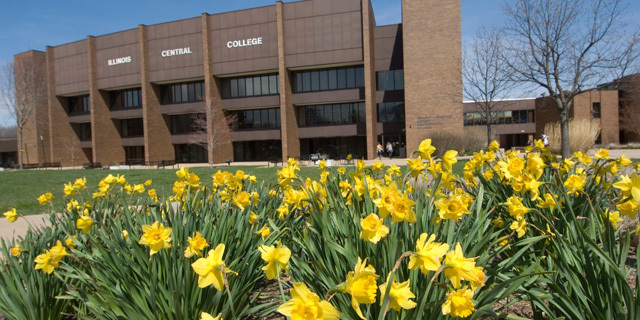 By retaining over 90% of the existing building structure, Illinois Central College was able to save the existing building from being sent to landfill as well as the need for harvesting new natural resources. Materials were carefully selected — recycled and regionally produced materials were used whenever possible. For Arbor Hall, over 25% of the building materials/products were manufactured within a 500 mile radius of the building site. 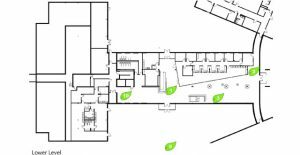 Our bodies respond better to natural light, resulting in higher performance of students and staff. For Arbor Hall, windows have been strategically located to maximize daylight and views to the outside. Daylight sensors aid in the efficient use of electrical lighting reducing power consumption when natural light is abundant. 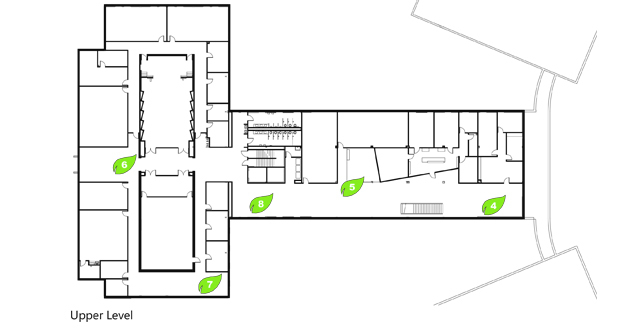 All thermal controls are computer automated, so fans and temperatures can be scheduled and adjusted based on building occupancy and comfort. The native planting around Arbor Hall have been protected as an amenity to the building and campus. By incorporating native landscaping that thrives in very wet or dry conditions, a permanent irrigation system is not required. Refrigerants and mechanical systems are free, or minimally dependent upon, substances which contribute to ozone depletion and climate change. 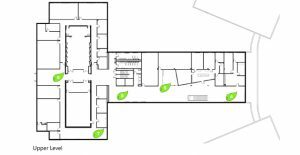 In addition, low emitting VOC (volatile organic compounds) materials were incorporated throughout the building to maximize indoor air quality.